Editor's note: We got a lot of great feedback on Tony's last article about what his vegetable farmer dad taught him that made him a better investor. You can see a photo of him with Tony's grandfather, and get Tony's newest idea for profiting in the exciting new blockchain technology space, at our recently revamped Weiss Crypto Ratings website. 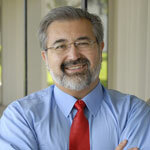 The economic statistics coming out of the U.S. have been overwhelmingly positive. For example, the last report from the Bureau of Labor Statistics showed that our economy created 196,000 new jobs in March. This pushed the unemployment rate to historic lows. Moreover, with the S&P 500 up by 14% in the first 90 days of 2019, a lot of investors think there's nothing but blue skies ahead for the stock market. Wrong! Sure, the U.S. economy and U.S. stock market are doing well, but the big global picture is very different and very troubling. The reality is that global trade has been rapidly slowing and, just recently, shrinking. International trade volumes have turned negative on a year-over-year basis for the first time since the 2008-'09 financial crisis. Plus, the World Trade Organization expects things to get even worse -- with trade growth shrinking from 3% in 2018 to 2.6% in 2019. 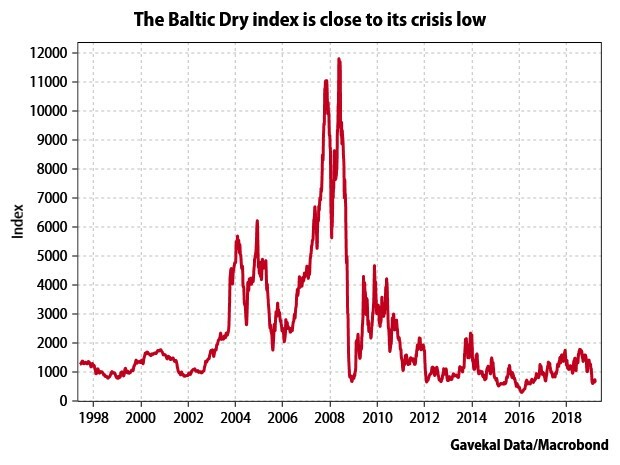 Take a look at the Baltic Dry Index. It tracks the cost of shipping dry goods — everything other than containers and oil tankers. When global trade is strong, trans-Pacific and trans-Atlantic shipping companies charge more because of the higher demand for the limited space on their ships. In fact, the index has been dropping like a rock and is now close to the 2008-'09 financial crisis lows. It would be easy to blame the drop in global trade on the Trump tariffs and trade sanctions — and they’re certainly part of the problem. But the reality is that even countries without a tariff beef with the U.S. are struggling. 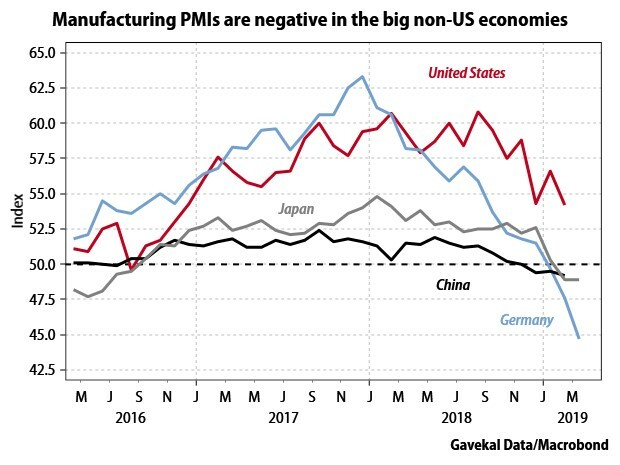 Proof: Manufacturing PMIs are below 50 (readings below 50 indicate contraction instead of expansion) in three of the four biggest economies in the world: Germany, Japan and China. Chicago Fed President Charles Evans recently said that the "risks from the downside scenarios loom larger than those from the upside ones" and David Lipton of the International Monetary Fund warned of "growing risks and uncertainties." On top of that, at its spring meeting this week, the IMF issued its lowest global growth forecast since the financial crisis. Although this is the third cut in six months, officials did say they expect growth to pick up later this year. They also say they don't see a recession in the near term. But their caution is notable. Does this mean that you should sell all your stocks and run for the hills tomorrow morning? Of course not. However, I do think that you'd be wise to reduce the amount of risk that your portfolio is exposed to. That could be by swapping into lower-beta stocks, increasing your allocation to bonds, investing in assets that aren't correlated to stocks such as gold, and/or raising the percentage of your portfolio that is in case. That later is exactly what I just did with the Weiss Ultimate Portfolio, which is now 40% in stocks and a large 60% allocation to cash. I know cash may seem boring. But never forget that cash not only protects you against falling stock prices, but also gives you a treasure chest of buying power after stocks go on sale. P.S. In Weiss Ultimate Portfolio, we recently grabbed 14% gains in a tech ETF, 11% gains in an ETF designed to ride the S&P 500 higher, and 6.8% gains on a defense name. We also out at breakeven on a human-resources play and took a sub-10% loss on a business services stock. With some of the proceeds from those five sales, we added a pair of stocks to prime the Portfolio for more profits. To learn more about my trading strategy, and to see how you can take my service for a test-drive, click here.